Important news!! I’ve just created an exclusive Facebook group I want you all to be a part of. You’re going to be able to interact with me directly, post fitness related content, ask questions, discuss aesthetics and everything else. I don’t have a real plan for the group right now, other than providing a community for all of us on the same road to aesthetics to talk about our journey and help each other along the way. The group depends on you guys. Post content you think others will want to see, and let’s start an epic community. I’ll also be dropping free products and running competitions regularly, so make sure you get in as soon as possible. 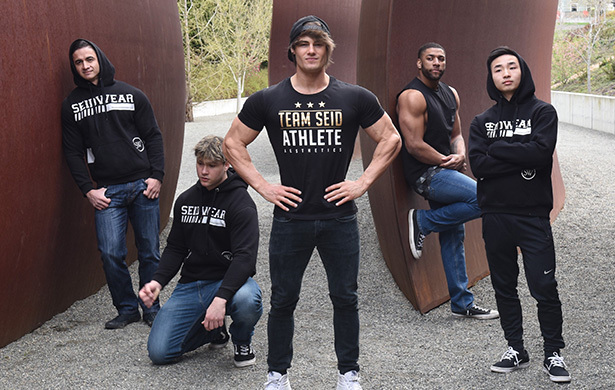 It’s completely free, and you can join by searching Team Seid on Facebook or clicking the button below. See you on the other side!